The Workplace"Workplace" describes the Autotask Workplace service in its entirety. six-month data retention feature allows you to undelete data that has been deleted by mistake. Any files, folders or projects deleted within Workplace will be available to "undelete" for 180 days - so you can be sure that your data remains safe and secure even if accidentally deleted. At any point during the 180 day retention period, the file, folder or project can either be undeleted or restored (downloaded). When you delete a project, which can only be done via Workplace OnlineWorkplace Online is the web portal that users within a team can use to access their data and administer their team., the project is removed from Workplace, and therefore, from all your devices and all your team members' devices. No one will be able to access data once you delete it. ProjectA project is a top-level folder within Autotask Workplace. A project is the primary container for all the folders and files that are synchronized by the Workplace service. Projects create the basic organizational structure to store data and control user access. Only project owners can delete, undelete and restore projects. * If anyone deletes a project, it will only unsync the project on that device. ** It is not possible for anyone to delete a project. File or Folder The project owner or anyone with Full Access can delete, undelete, and restore a file or folder. * The project owner or any user will Full Access permissions to the file or folder can delete it. The project owner or any user will Full Access permissions to the file or folder can delete it. 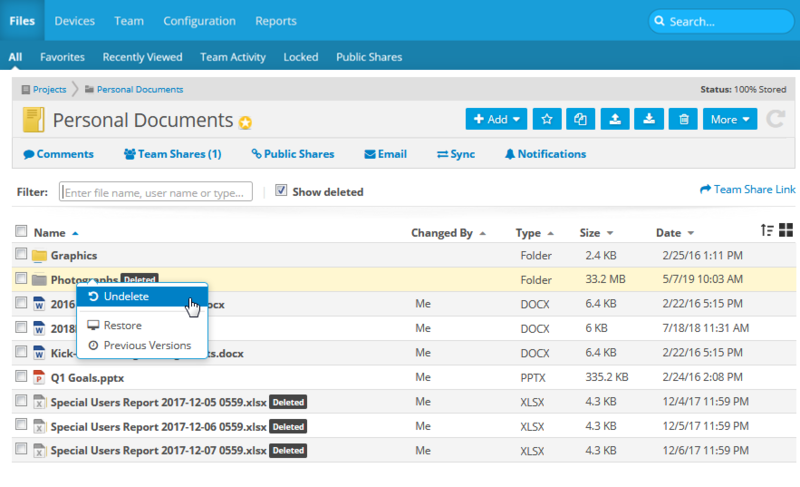 * Super Administrators can delete, undelete, and restore projects, files, or folders in Workplace Online via Manage Projects. **Unsyncing a project will not result in its removal from other devices or in Workplace Online. In Workplace, if you delete a file or folder, it is deleted for everyone! Undelete: Reverses the delete operation. The deleted Project, folder or file will be placed back into its original location. Restore: Allows you to download the project, folder or file to a specified location. If you want to restore an item, refer to Restore an Item. In the list views, right-click the item and select Manage > Deleteor click the icon and select Manage > Delete. Simply delete the item the same way you would delete any other locally stored folder or file on your computer. Projects can only be deleted via Workplace Online. Select the check box corresponding to the project, right-click the project, or click the icon. You also have the option to restore or view previous versions of the project. For more information on these functions, refer to Restore an Item or Previous Versions. Locate the project in which the deleted folder or file was stored. 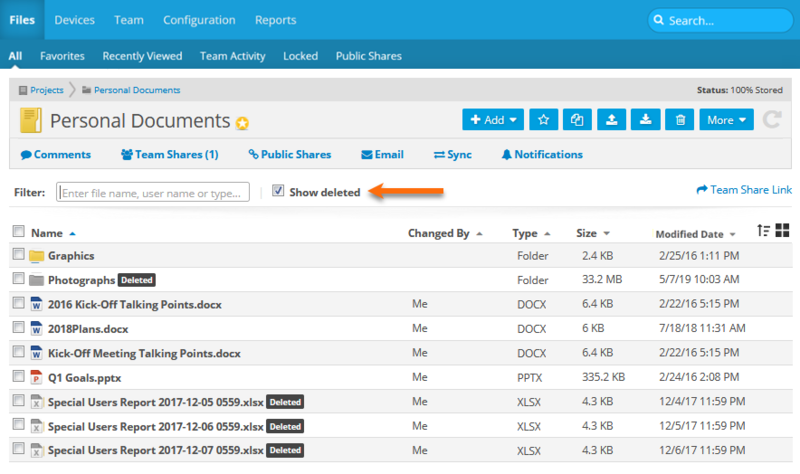 To view recently deleted files, go to Dashboard > Recent Changes. Select the check box corresponding to the folder, right-click the project, or click the icon. You also have the option to restore or view previous versions of the folder or file. For more information on these functions, refer to Restore an Item or Previous Versions.